Back to school shopping is in full effect over here. Why so early? Well, one very good reason. My daughter is growing like crazy and has outgrown her entire wardrobe. I’m not exaggerating. Is anyone else in this challenging position? Listen, I know kids grow. We just happen to be in that difficult phase where kids clothes don’t always work but adult styles aren’t fitting well either. To be honest I don’t want to spend a ton of money when I know there is more growing to do in short amount of time. When JCPenney invited us to take a look at their Back to School styles I jumped at the chance. So many awesome deals. We found that a mix of children and juniors worked best. Here’s a look at some of the cute things we found. For sizing reference my daughter is currently 5’3″ and I am 5’7″. She is quickly catching up to me. We make it a point to carve out mother-daughter time while the boys do their thing. There is no question that the quality time strengthens our relationship. And let’s be honest, the junior high age can be challenging for everyone. Keeping the lines of communication wide open is so important to me. I also want this sweet girl to know that she is incredible and can do anything she sets her mind and heart to. This is an example of mixing two departments. The jeans are still considered kids and fit well (size 12) but the top we found in the Juniors department. Much more her style and a great fit (size small). They are a complete steal ($7) with the online coupon offer which is good for one more day. Not to mention the top is incredibly soft. The Converse are perfect for school. She likes to be comfortable and the cute gray color goes with everything. This color is called Mouse/White Black. (Available here in children’s sizes). We also bought two pairs of these leggings for her. She lives in black leggings and these fit her really well. Can’t beat the price! We had a blast shopping together. It was much-needed mother-daughter time. She helped me pick out an outfit, too. I was impressed with the stylish and affordable looks JCPenney has to offer. These jeans are so fun and very comfortable. Guess what? They are now $20!!! My entire outfit (head to toe) was under $100! The flats come in a few colors and great for running errands and slipping back into my busy routine once school begins. My top looks like it may be sold out but I rounded up more cute tops below. This eyelet top is adorable! My crossbody bag is now $15. 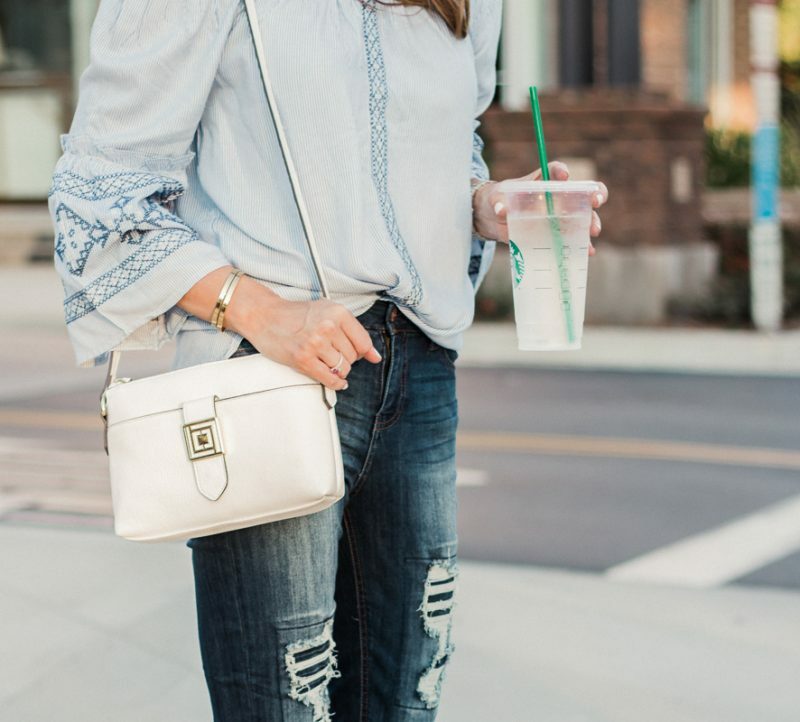 While I have a neutral taupe crossbody, this white one is a nice addition to the wardrobe and I love the gold detailing on it. 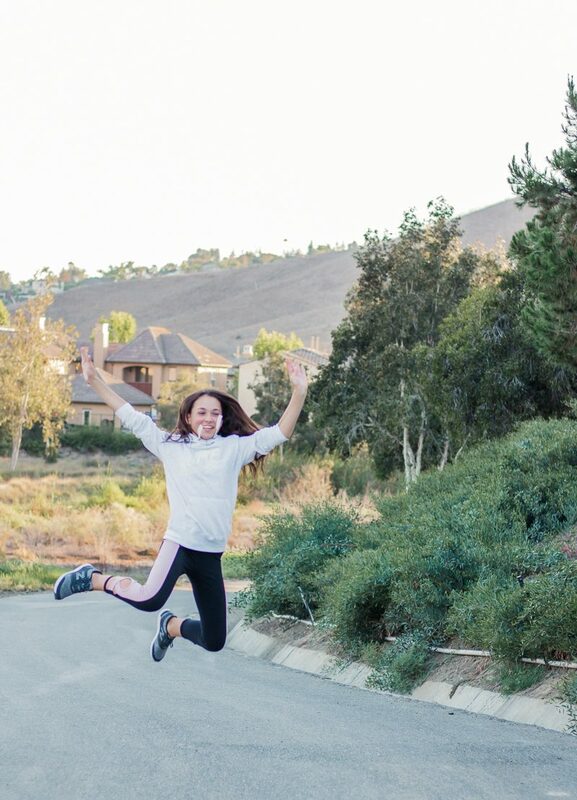 Activewear is another homerun for this girl. JCPenney has a great selection. She can wear all of this to school but can also wear it on walks with the family or for hanging out with her friends. She fell in love with these yoga pants from the juniors section. They are a great fit and such a darling cut. She is wearing an XS. The Nike pullover is a size small and comes in a darker gray as well. 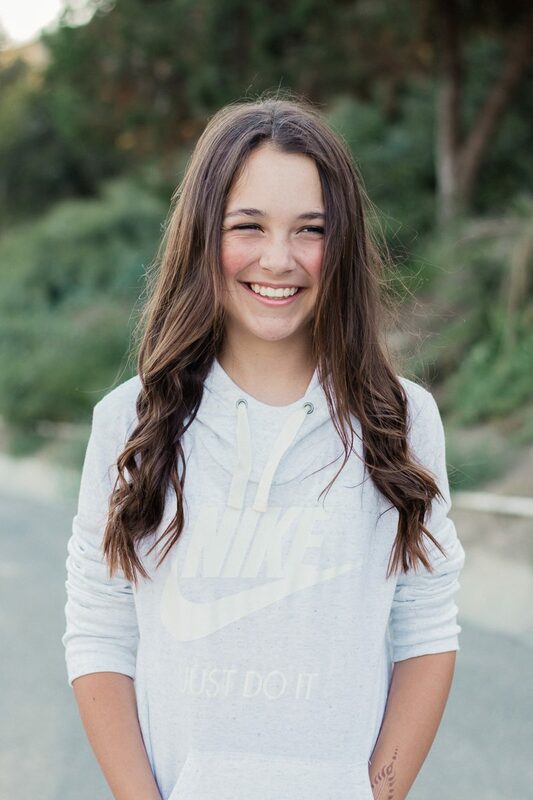 Our California temps don’t drop very much during the school year so she only needs light hoodies or a jean jacket most of the time. I have converted her to be a New Balance girl like her mama. So comfortable and great for school. Soon enough she will be only wearing my clothes. Heaven help me. Until then, I am all about spending less while still looking adorable. 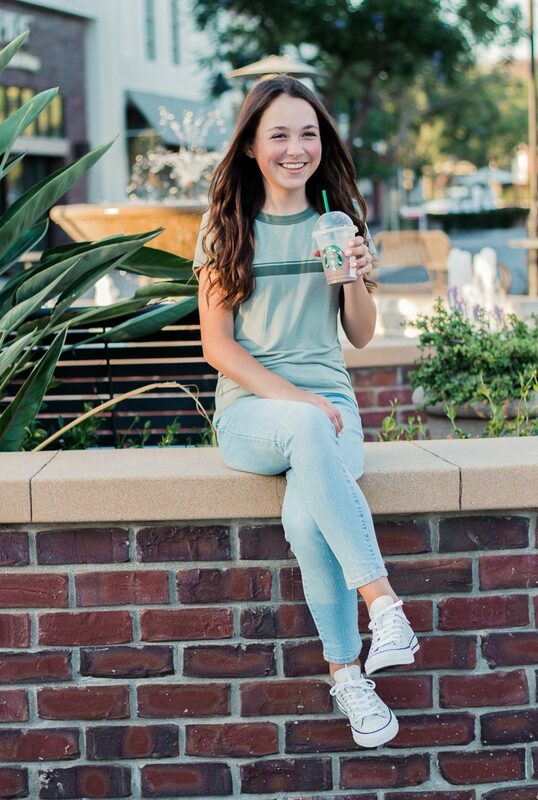 Have you thought about back to school shopping yet? Let me know if you discover some fun finds at JCPenney. I am off to spend time with my own mama today. You can catch some of that over on my stories. Have a great day, friends. *Proud to partner with JCPenney on this post. All ideas, thoughts and outfit selections are my own. Oh my, Grandma needs a visit before she doesn’t even recognize her granddaughter! She has grown sooo much and is now taller than me! She has also grown even more beautiful if that is possible. She is always sitting down when you Skype!!! She has sprouted up so much just this summer. I can’t believe it either. Gorgeous ladies! School starts next week for us and I barely have a backpack to show for it. Good on you, girl. I too had to do a double take! How is it that she grew up so fast just this year. She is gorgeous Courtney. And, the clothes you both selected are so darn cute. Riley is lovely.. She was an adorable little girl when I started following your blog and she’s grown into a beautiful young lady. J Crew was a nice option for us when my daughter was transitioning from kids to adult sizes. Their adult sizes go pretty low (00 and XXS) and I’m pretty sure their kids’ sizing goes up to 16. The quality is good and, though their pricing can be a bit pricey, they ALWAYS have sales that end up making things pretty affordable. And, I also like that, even their adult options are age appropriate for pre/young teens. You two are so cute together! My daughter is going into 7th grade and we are definitely in an interesting phase with fashion. Wasn’t it so much easier when they wore anything we picked out?! I’m trying to keep an open mind and letting her find her style. And I’m praying hard for her to remain true to herself in the craziness of this stage ???? Long time reader/lurker here. Thanks for posting the distressed jeans. I’ve been looking for a pair of distressed but not destroyed jeans for quite some time. Since they are a trend, I didn’t want to spend too much on them. These fit the bill and I picked them up the other day. I’m pleasantly surprised at the quality of the denim and I like that the distressed places are all patched so that I can wear them all winter long. Great find. Thanks again!